Our Ambassador program keeps growing and we are happy to welcome our newest member from Italy – Alessandro Liverani member at Golf du Domaine Imperial in Switzerland. We hope you’ll enjoy this exclusive interview and that it will give you a good insight into Alessandro’s world of golf. Aside from hitting a few balls at the range starting in my mid-thirties, it was when I moved to Switzerland in 2005 that I started playing and I got my first handicap in 2007, at age 43. In my next life, I’ll start when I am 5 years old! You are a member at Golf du Domaine Impérial, can you tell us what makes your club so special? Domaine Imperial has been recognised as one of the top-3 courses in Switzerland year-in and year-out since it was inaugurated with a Severiano Ballesteros drive back in May 1987. The Pete & Perry Dye design is excellent but what really sets aside the Club from the others is the maintenance and the environment: our green-keeping Staff are outstanding at what they do the the environmental standards they apply are the best in the industry. The view over the lake from the clubhouse is great, as well. I love the possibility it gives to golfers from around the world to interact, exchange experiences and meet new people. You guys have a passion for the game and it shows in the way you structured the site and app and strive for perfection in any development. I have been lucky to play pretty much all around the world and I cannot pinpoint just one experience. That said, the trips to Scotland, Ireland, the USA West Coast and the Caribbean are among the best. 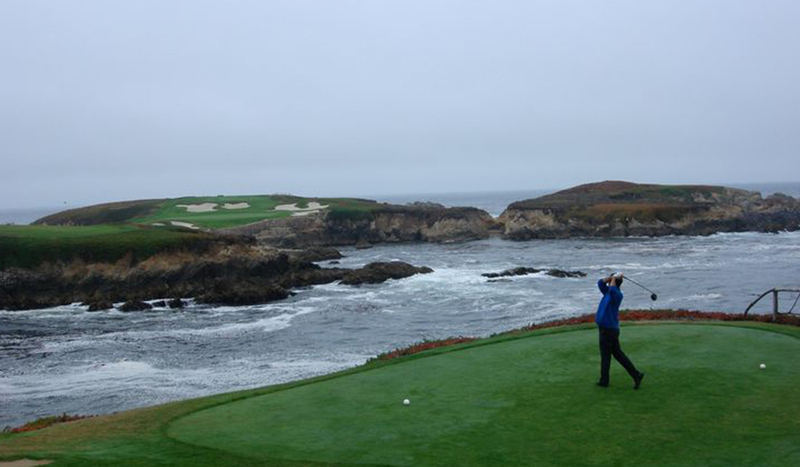 In terms of “emotion” being on the first tee, I must mention being at 6:45am at Cypress Point one fine day (just to manage to play there was an adventure in itself). Having no children and not being restricted to school-holiday periods, I try to travel often for short-medium periods. A 10-day period around Easter is a must. I have played in the Dominican Republic (Punta Cana / Cap Cana and Casa de Campo) and in Morocco (Marrakech and Agadir) more often than in other places. Long weekends are also in order (Portugal, Mallorca, South France) and during summer I like to go out for the weekends to close-by Swiss and French courses. What are your favorite courses in Europe? the UK? the US? Asia? This is a really tough one, even after going through the list of the courses played, so I hope you’ll allow me to mention more than 3. – Continental Europe: Les Bordes, Taulane, my own Domaine Imperial. – UK & Ireland: Cruden Bay (my favourite! ), Royal Aberdeen, Ballybunion, Loch Lomond, Trump International Scotland, Turnberry. – Asia and Caribbean: Punta Espada (Dominican Republic), Assoufid in Marrakech, Leopard Creek in South Africa. The one I have not planned yet! Jokes aside, I will be going to Japan for work reasons in September but I’ll try to squeeze in a bit of golf too.